Still time left for this offer! It expires June 30, 2018. 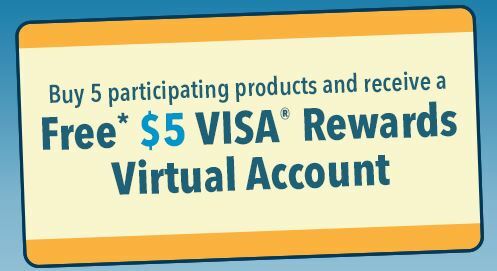 Through June 30th, purchase 5 participating Pinnacle Foods products (in one or multiple transactions) and you can submit for a FREE $5 Visa Rewards Virtual Account*. 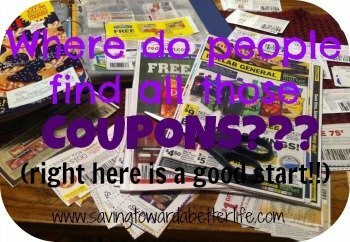 There is a limit of four redemptions per household so you can earn up to $20 in rewards! *Reward must be activated by 7/31/18. Account creation required to participate. Virtual Account can be used online wherever Visa debit is accepted for up to $5. Participating Pinnacle Foods products include Bernstein’s, Birds Eye, Duncan Hines, Earth Balance, EVOL, Gardein, Log Cabin, Mrs. Butterworth’s, Mrs. Paul’s, Smart Balance, Udi’s, Vlasic, Van De Kamp’s, Western and Wishbone. 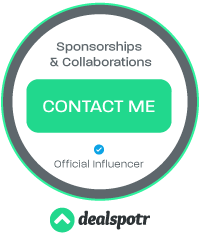 You must submit for your reward(s) by 6/30/18 and your earned Reward Code must be activated by 7/31/18. Once activated, your $5 Visa Virtual Account expires one month from the date of activation – so don’t forget to use it! Previous post: *Don’t Forget* Ibotta: Refer 3 Friends this month and earn an extra $20!